Seriously. I think I have a problem with my love for beadboard. I want it everywhere...walls..ceilings...and I want it all to be white. I want the real deal...the 3/4" boards...salvaged pieces would be fantastic...they are just so pretty. Check out this mirror. I did a little happy dance when I realized I have the exact.same.one...in my warehouse...ready to be painted. I just started a reno on my home office space. It is the smallest bedroom in my house...about 13x11. Would it make a small room seem smaller if I added beadboard to the ceiling? Would I be crazy to add beadboard over perfectly fine plaster?? Wait...maybe I don't care if it is crazy. I am so lucky "the man" in this house thinks all my ideas are awesome. He just wants what I want. 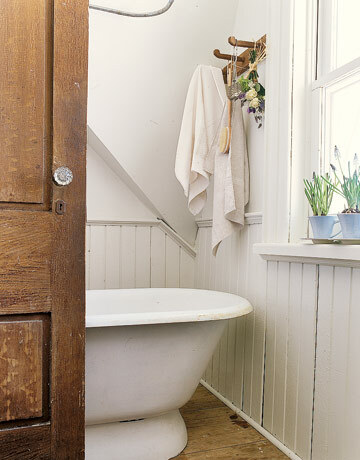 Love the old wood walls next to the smooth clawfoot tub. 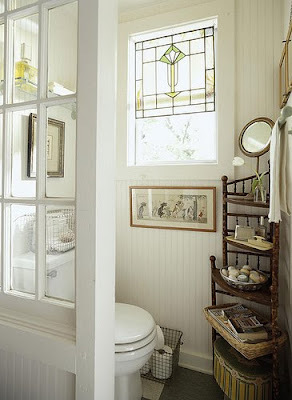 I am in LOVE with this powder room! 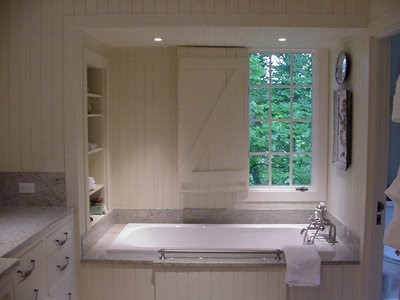 I am trying to find a way to incorporate a window like this in my home. Fabulous idea for a divided wall. This bathroom has my two favs in one space! And the door on the window in this bathroom?? 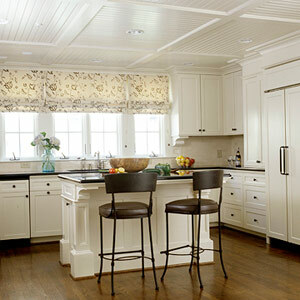 The ceiling in the picture below is my dream for when I start my kitchen reno. The farmhouse I grew up in had a ceiling like this in the dining room. I miss that house so much. Funny how you don't appreciate things like a big ol' farmhouse it until you are older. 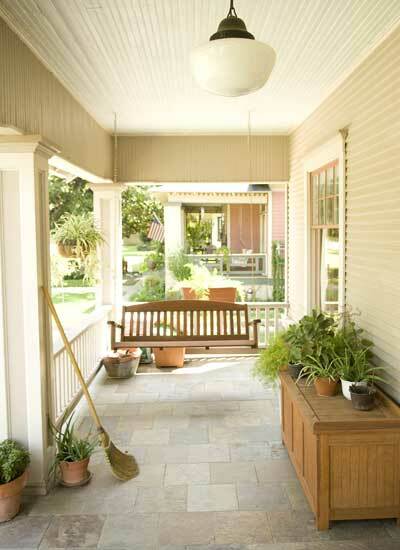 So I want to know...is there anyone else out there that shares my beadboard love?? I would love to hear if anyone has it on their ceiling! Send me pictures!! I want to hear all about it. you gotta do what you love...right? !